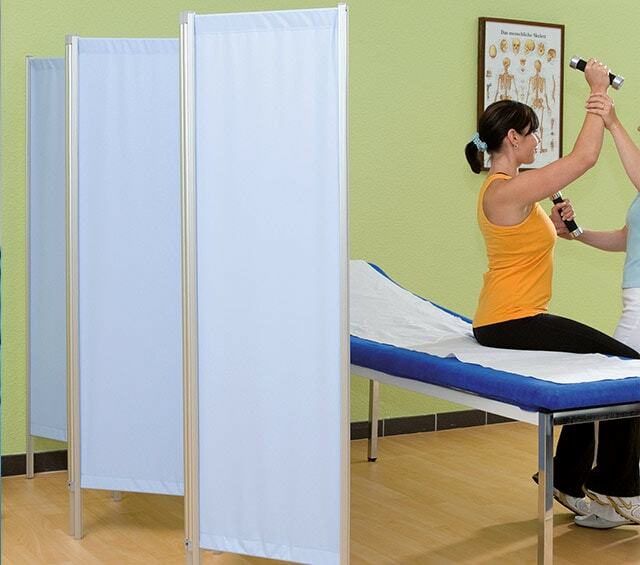 The partition is used throughout therapy practices and surgeries for separating various areas, while simultaneously providing visual privacy for patients' personal space. 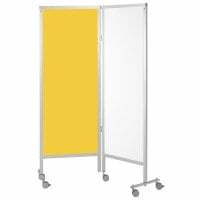 In our online shop, you will find a nice range of separating walls and folding walls for your practice. from 310,00 EUR* Not ready for shipping. Reserve today and we will ship as soon as possible. 363,00 EUR* Not ready for shipping. Reserve today and we will ship as soon as possible. from 208,00 EUR* Not ready for shipping. Reserve today and we will ship as soon as possible. 568,00 EUR* Not ready for shipping. Reserve today and we will ship as soon as possible. from 199,00 EUR* Not ready for shipping. Reserve today and we will ship as soon as possible. from 292,00 EUR* Not ready for shipping. Reserve today and we will ship as soon as possible. from 325,00 EUR* Not ready for shipping. Reserve today and we will ship as soon as possible. 345,00 EUR* Not ready for shipping. Reserve today and we will ship as soon as possible. 22,00 EUR* Not ready for shipping. Reserve today and we will ship as soon as possible. from 309,00 EUR* Not ready for shipping. Reserve today and we will ship as soon as possible. from 249,00 EUR* Not ready for shipping. Reserve today and we will ship as soon as possible. from 459,00 EUR* Not ready for shipping. Reserve today and we will ship as soon as possible. 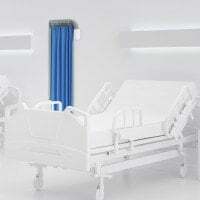 With a partition (also called a spanish wall or folding wall) as a room divider, treatment rooms within your surgery or therapeutic practice can be quite easily divided. 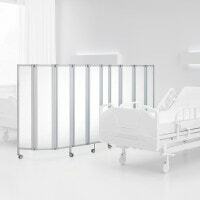 In addition to their function as a separating wall, partitions also provide a good solution, when it comes to protecting personal space: firstly, for examinations where the patient is required to change clothes, partitions provide visual privacy and pleasant/protected atmosphere. This provides a bit of comfort in already uncomfortable situations. 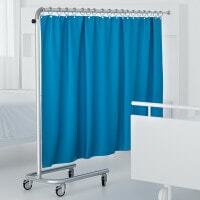 The separating walls are also available with wheels and in various colours. 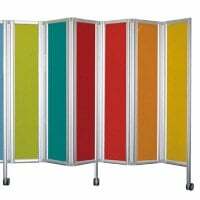 For example, the "Partition without Wheels" can be customised to your wishes. 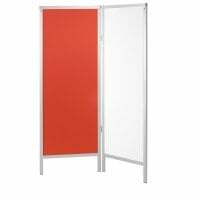 Next to a range of colour and size options, the partition can even be delivered with a mirror element. 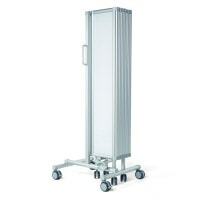 Depending on model and desired size, the partitions will be delivered either as a one fold or a multi-fold. 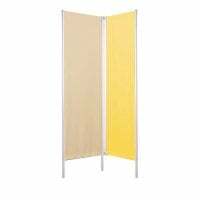 In the category Partitions and Room Dividers, we have gathered a nice collection of various separating walls with a comprehensive range of specifications. 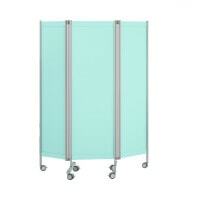 In addition to our assortment of partitions, you will also find modern folding walls, made from plexiglass. 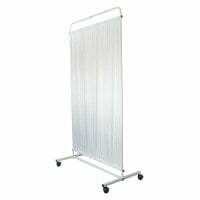 The opaque and non-transparent room dividers can be easily folded for transportation, which makes them particularly flexible and space saving. 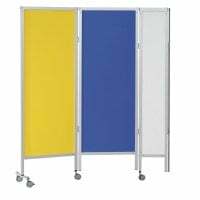 If you're looking for stationary partitions, our selection also includes mountable separating walls and telescopic room dividers. 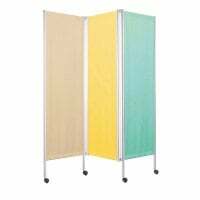 Whether you need a one-part, multi-part, mobile or stationary partition, our online shop provides you with the proper room dividers for every treatment room.